Home > News > Christmas Gift Guide – Prison edition! It’s that time of year, when Christmas shopping begins in earnest. Whether you are someone who has had their gifts bought and wrapped since August, or whether Christmas Eve usually finds you rushing to the shops in a panic, you might be interested to discover there are lots of opportunities to let your gift giving positively impact the lives of men and women in prison! We have pulled together some of our favourite companies and products that we know of in this special Prison Gift Guide! Many of these are made by prisoners; some are commercial businesses, some charities. All provide the opportunity for men and women with a prison sentence to learn new skills and increase their chances of finding employment once they are released. These exquisite chocolates from Grace Chocolates (@gracechocolate2) are handmade by women who have touched the Scottish criminal justice system and are choosing to make positive changes in their lives. Through making and selling the chocolates the women receive support, training, work experience and the opportunity to raise their self-esteem and resilience which helps lower the barriers they face in finding meaningful employment. We like… a box of 12 chocolates for £10. Buy one of these beautiful oak chopping boards from Rough Stuff (@roughstuffsales). They have a new dedicated, state of the art workshop inside HMP The Mount in Hertfordshire, employing around twenty men who make all their boards, and bringing new pride, skills and job discipline to the inmates. We like… The Mobster Round (£30), and this set of Stretch Oak Chopping Boards (from £15). The Clink (@TheClinkCharity) run a well-known chain of restaurants staffed by prisoners working towards City & Guilds NVQs in Food Preparation, Food Service and Customer Service, leading to employment in the UK hospitality industry upon release. You can buy gift certificates for the foodie friend or family member, or they sell a range of products and cookbooks on their website. 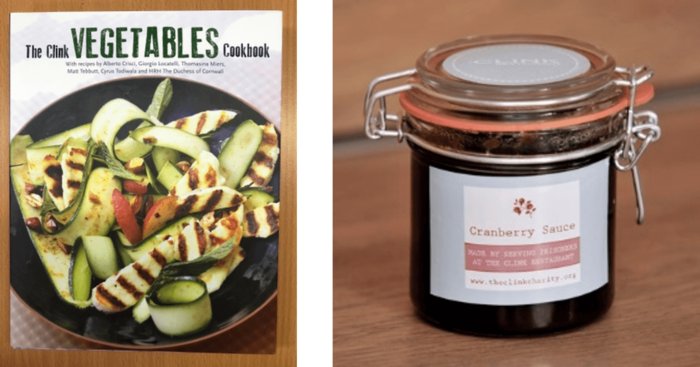 We like… some delicious cranberry sauce made in HMP High Down (£6) or how about their most recent cookbook with an appropriately trendy Vegetables cookbook (£14.99). The comms staff at PF are the serious coffee drinkers of the team, so we are big fans of these three coffee companies! Redemption Roasters (@RedemptionRoast) says, “The young offenders who we work with to craft each batch know their coffee: we trained them up in roasting, brewing and barista skills.” Their main roastery and barista training centre is in HMYOI Aylesbury and they run barista academies at HMP Bullingdon and at HMP Springhill too. Inside Ground (@insideground) run their roastery in HMYOI Feltham, empowering the young men to break the cycle of re-offending and encouraging positive lives with a brighter future in society. Second Crack (@crack_second) are a social enterprise working with ex-offenders, with 10% of the price of each bag of coffee going directly into a fund to reduce reoffending. We like… Redemption Roaster’s Aylesbury Blend (250g for £8.90); Inside Ground’s Freedom Blend (200g for £6.95); Second Crack’s El Savador Blend (200g for £10). All Fine Cell Work’s (@finecellwork) products are handmade in British prisons. Teaching prisoners high-quality needlework boosts their self-worth, instils self-discipline, fosters hope and encourages them to lead independent, crime-free lives. We like… this sweet Noah’s ark cushion (£125), and the gorgeous alphabet quilt in blue and green (£175). More beautiful products from Fine Cell Work! 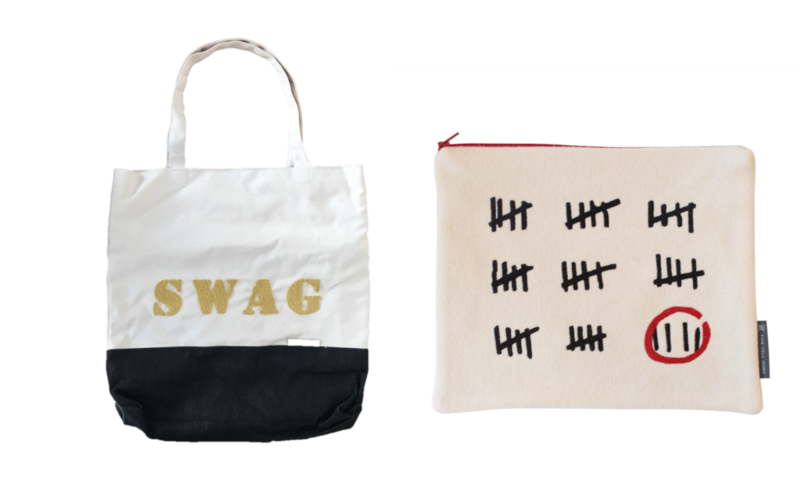 We like… this “Swag” bag with gold lettering (£39), and this prison calendar tablet cover designed by A A Gill (£30). 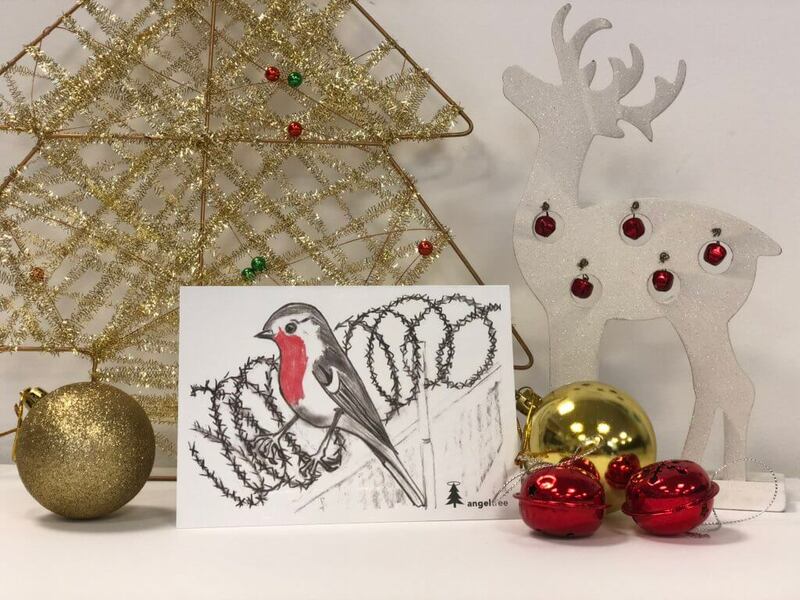 Suggested donation of £5 for a pack of 10 cards with envelopes – get yours today! We’d love to hear of any other products or businesses you know of! Tweet us or send us a Facebook message with your recommendations. Happy shopping!